When researching, collect your information in an organised manner and record the sources. This will help you acknowledge where you found the information. ​Presenting someone else's information and ideas as your own is a form of cheating. It is known as plagiarism. 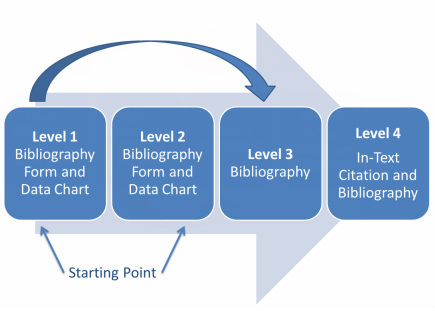 Using a bibliography form and a data chart will help you avoid plagiarism. You can also use a reference generator to help you present your sources in the correct way. 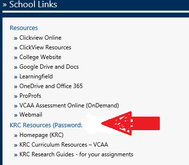 Look here for the KRC password. Go to SIMON for the password. Use a data chart to record your notes. These notes can then be used to create your assignment response. You can't use the exact words you copy. You'll need to paraphrase the information. Use the bibliography form to record the sources of your information (Level 1 & Level 2). Alternatively you could create a Reference List or Bibliography of your sources (Level 3). ​The bibliography form works in conjunction with the data chart. Use it to record all the details about where you found the information. This ensures you have acknowledged where you found the information.